The National Resident Matching Program® (“NRMP®”) matches medical students and medical residency programs together. Securing a medical residency is a competitive process, and for international medical graduates, it can be even more challenging. International medical graduates applying for U.S. based residency programs under go the same level of scrutiny, and participate in the same matching program as U.S. medical graduates. The NRMP® provides the much-needed venue to match a residency Program Director’s preferences, with the preferences of applicants, after the interview has been completed. Regardless of whether you are a U.S. based medical graduate, or an international medical graduate, the tips and processes below can help you to increase your chances of being accepted into the best program for you. After you interview with residency programs, it is time to start considering how you will rank the programs. Most experts, and those that have been through the process, recommend a minimum of 5 to 10 interviews to get the best scope of the programs available, how your long-term goals fit, and the synergy you feel with each of the teams. 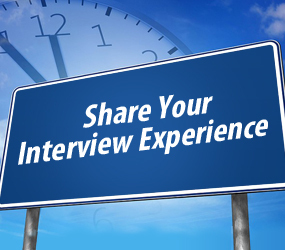 The number of interviews may need to be increased if you are in a highly competitive specialty. The creation of your Rank Order List many believe is the most important part of the process. Below are six things to consider when constructing your Rank Order List. 1. How does each residency program fit with your long-term goals? 2. Did you feel synergy with any of the teams that you interviewed with more than others? 3. What physical locations are most appealing to you? 4. 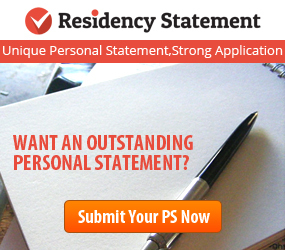 How important is the reputation of the residency program in your decision? 5. Do not underestimate yourself. If you feel an interview went well, and you are most interested in the program, select it first, even if it is a highly competitive program. 6. Match A Resident recommends ranking all interviews in the Rank Order. However, if you are not interested in a particular program, or not able to attend, do not place it in the Rank Order List, as the rankings are binding. Once you have ranked the programs, give it a day or two, and then review to make sure your decisions still resonate. Remember, The Match™ Commitment is binding, so be sure to create your Rank Order List in a manner that supports your long-term career goals. While you are considering what is best for your career, Residency Directors are determining who is the best fit from all of the candidates they have interviewed. They too are required to construct a Rank Order List that will have anywhere from 10 to 50 applicant names on it, and this is where the science of the matching algorithm shines. The algorithm goes through both lists, for all applicants and matches the program to the medical graduate, based on preferences for each. For example, a Program Director that places Applicant A in in the number one position and the medical graduate that places the same program in the number one position, are matched. If no number one spot matches with another number one spot, then the matching moves down each of the candidate and program Rank Order Lists, until a match is found. If a medical graduate applicant cannot be matched to the first choice program, the algorithm then moves to the second choice, and then third, until at the very least, a tentative match is found. The process continues until each applicant has been matched, tentatively matched, or all of the choices submitted on the Rank Order List have been exhausted. All of the ranking information is kept strictly confidential; neither the Program Director nor the applicant ever sees how the other ranked them. This is essential for ongoing good working relationships. When a match is complete, all tentative matches become final. The importance of taking the time and consideration to accurately rank the programs you have interviewed with cannot be overstated. If you are in a highly competitive specialty, you are advised to create a longer Rank Order List in order to increase your chances for acceptance into a residency program. However, do not rank programs that you are truly not interested in; as stated before, matches are binding and you do not want to end up in a program you are not excited about. Match Week each March is an exciting and anxious time for international medical graduates, and domestic medical graduates alike. It is normal to second guess your Rank Order List and replay the interviews in your head countless times. Remember, the NRMP® algorithm is designed to help you secure the medical residency that is best suited to your education and goals. 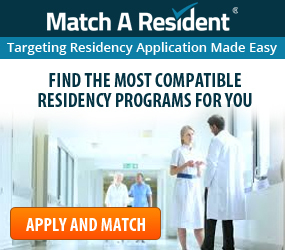 Match A Resident (MAR) will generate the list of residency programs that you need to apply to in the 2013-2014 Match season. 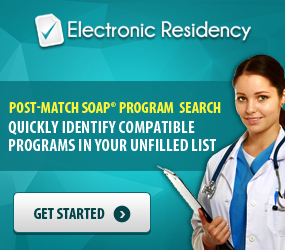 By obtaining your MAR residency lists there is no need for you to make phone calls or send emails to residency programs seeking minimum requirements. Register now!